When do we need to work at low altitude, what should we do? The answer is one: the stages are needed. And if you work in a room with long walls or a ceiling of a large area, then they need to be moved further. In such situations, Buddhistors’ mobile stations Podvohradspetsmash are needed. Everyone knows that the convenience of work space allows it to accelerate considerably, up to 50% of the time. In any construction organization the stages are an important attribute, since they are safe and secure with them. And in some warehouses they are simply irreplaceable. 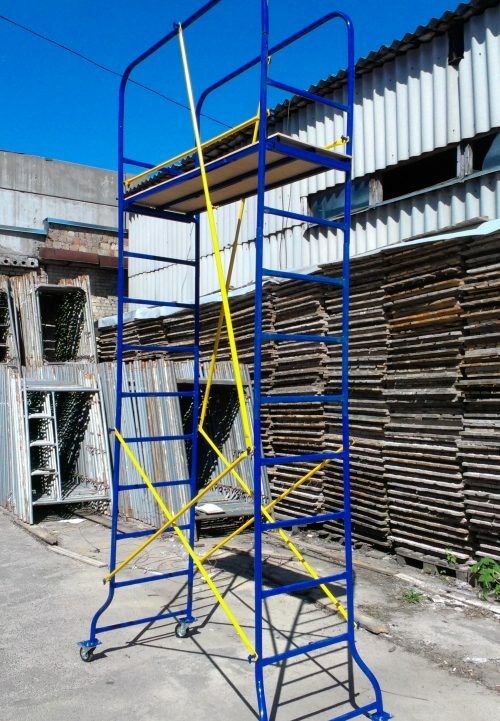 Metal fast building platforms TM “BudMayster” is an order of magnitude higher and more profitable clamp scaffolding, because in mobile scaffolding, there are no small details of assembly and connection. Stacks can be moved, collected, disassembled by two people.